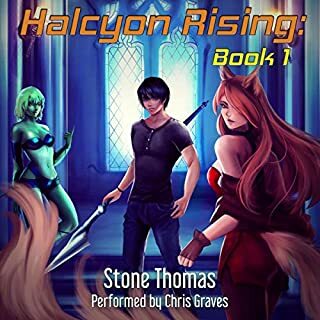 I had no idea what LitRPG was until I listened to this book. I must admit that it did not really appeal to me much at the beginning. But the more I listened the more I got into it. The story was paced just right that I was able to understand and follow the story - despite my ignorance in this genre. The narration was equally good and it made my listening time really enjoyable. I am looking forward to more of this series. Fritz Marschall knew that neither he, nor his friend, should really have been there. They, like many others before them, had been attracted to the lake by the many rumors that had been circulating. He thought of the endless stories there had been, of treasures sunken in or buried around the lake. He recalled the stories of the lake being used to develop torpedoes and rockets during the war. Looking out across the dark water, he wondered what secrets were hidden beneath the surface. Couldn’t have been writing better ! 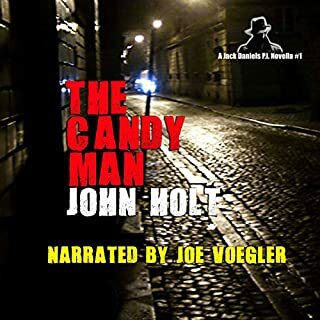 I have listened to a few books written by John Holt. And I have to say that this book has become one of my favorites. The characters of the book were each given their own highlights in the story - it made me connect with each of them more. Though some parts of the novel happened during World War II, it was not a war story. It was intriguing from the start and I got really hooked to it. The narration was great, as well. Ben Werling has an attention-grabbing kind of voice and he was really good at doing different accents. The background sound was a brilliant addition. I liked it that I was hearing train whistles, water splashes and other sounds - because it made the book more interesting and entertaining for me. This book truly deserves Five-Star reviews! Highly recommended! My Life as a Country Album made me cry. I loved the story, the characters and the narration. 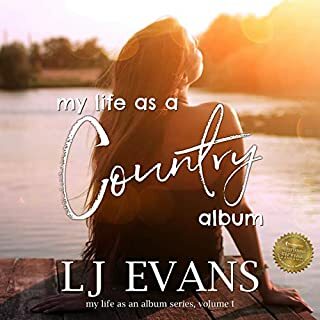 Although it took me a while to get used to the way the story was going, I eventually got used to how Cam was remembering their story and using country songs to describe each chapter of her life with Jake. There were a few slow parts, but the overall story and the personal touch of the way it was written made up for those. 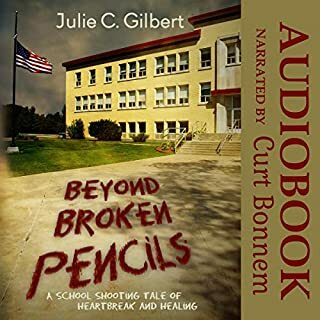 This audiobook certainly deserves this five-star review! LJ Evans is a talented author and I will never get tired of listening to Sarah Puckett. I am definitely looking forward to more books from this duo! When Jack Daniels started following a rich man and his mistress, he did not anticipate that there would be any high risk involved. What was supposed to be a simple private investigation turned into a murder, and then another. Then again, was there ever anything simple when the case started because of a cheating husband? 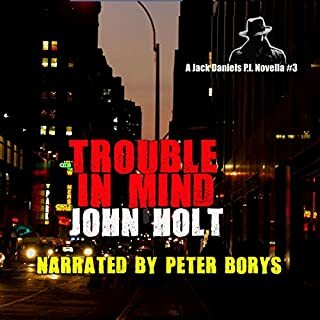 Like the first two Jack Daniels stories I have listened to, Trouble in Mind did not disappoint me. 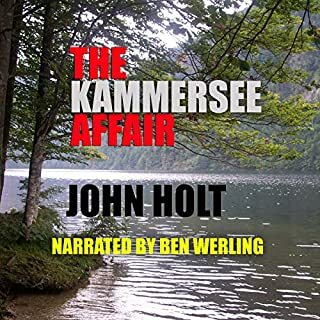 John Holt, as usual, gave his readers/listeners an entertaining and exciting experience. And with the help of a good narration, I was able to get easily reacquainted with one of my favorite fictional private investigators. I'm not a gambling man. I mean, life's one big gamble, ain't it? The odds are stacked against you; you just can't win. You know there are some people who will do anything to make sure that they win, even if it means eliminating anyone or anything that stands in their way. They only bet on a sure thing...a Dead Certainty. Gambling has never been my thing but mysteries certainly are, so I really liked this short story. Jack Daniels is becoming one of my favorite fictional private investigators and for this book, he did what he does best - solve the mystery and entertained his readers/listeners. 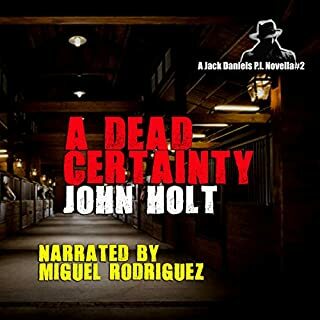 John Holt is a gifted author and I am always looking forward to listening to his books. Miguel Rodriguez gave life to the characters pretty well. 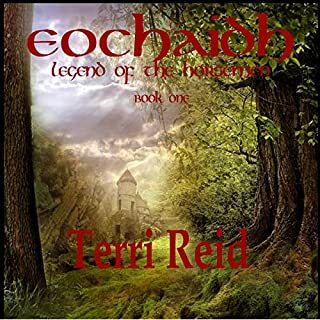 First Terri Reid book for me and I was truly impressed. The narration was equally impressive and was able to really pull me into the story. I love King Arthur's legend and fairies, so this book did not disappoint me. 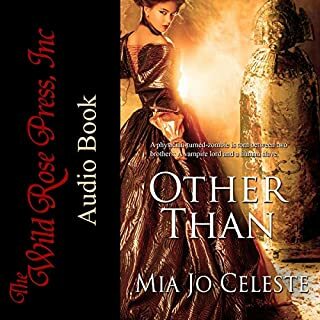 The story was different from other books I have read/listened to. There were twists and turns that totally surprised me. I love the part where Evie and her father got reunited only to be parted again. It was indeed a sad part, but it was also inspiring and heartwarming because it proved that a parent can truly sacrifice everything, even his own life for his child - unconditional love in its truest form. I love the narration. The different voices and accents were truly delightful to listen to. Other Than is a great book. It tells of a love story (a very complicated on) between two different creatures trapped in a doomed war - neither willing to give in nor give up. I liked the story, it was short and fast-flowing. John Holt, as always, managed to keep me hooked from start to finish. The narration was a little annoying for me at the start. After a while though, I was able to adjust to it. Listening to the book was like listening to a man telling stories at a bar - it was really entertaining and funny at some points. Jack Daniels was a cool detective - the kind of man you would want to accidentally meet if you are ever in a dire need of protection.